The newer papasan swivel rockers generally use a 24" x 48" cushion. Please note that the if you need a matching ottoman papasan cushion, you have a choice of 16" wide, 18" wide and 20" wide. The matching papasan ottoman cushion is an extra charge and can be ordered above on the drop down menu. Micro Fiber Suede is a soft great feeling fabric that appears to have the feel of suede without the cost and fragile nature of real suede. 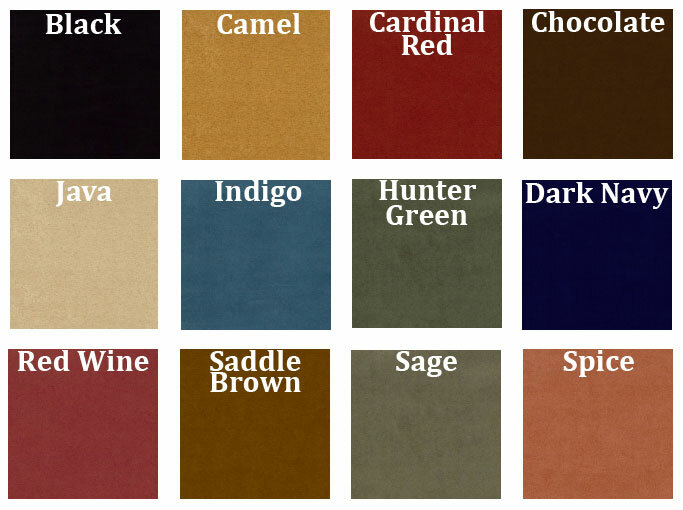 Our micro suede is a nylon/polyester blend. Swivel Rocker Papasan chairs are a comfortable fashion statement. The problem is many times the Swivel Rocker papasan chair frame outlives the cushion. FineWebStores.com to the rescue! 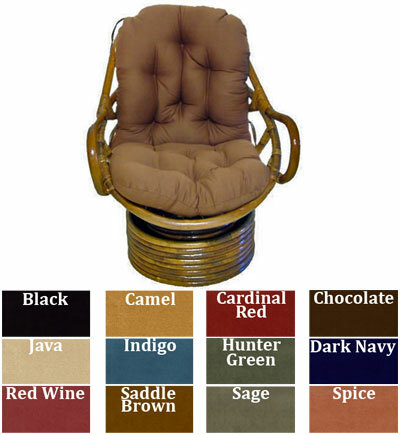 We sell excellent quality replacement Swivel Rocker papasan cushions! Our cushions are approximately 5 inches thick and they are filled with soft poly fill. SHIP TIME: 95% of our papasan cushions are shipped within 10-15 business days of order plus transit time. RETURN AND CANCELLATION POLICY: Please note that our papasan cushions are custom sewn for you when you order. We do this so we can offer many colors and custom sizes. Because of this, please order carefully. Cancellation of an order is generally impossible as we start sewing ASAP. We can only accept returns within 30 days of order, a 50% re-stock fee will apply, and the papasan cushion must be in original packaging. Please note that you are responsible for all shipping costs. The Papasan Swivel Rocker Cushion Micro Suede is made from 100% poly fabric.